NEPALGUNJ, March 19: The official schedules for forthcoming 8th National Games are still undecided despite the inauguration of media center and release of official ‘jingle’ at Nepalgunj sports stadium on Monday. The major sports event of the country has already been postponed twice. The National Sports Council (NSC) has been insisting to host it by the end of March or first week of April without announcing official dates for the marquee sports event. 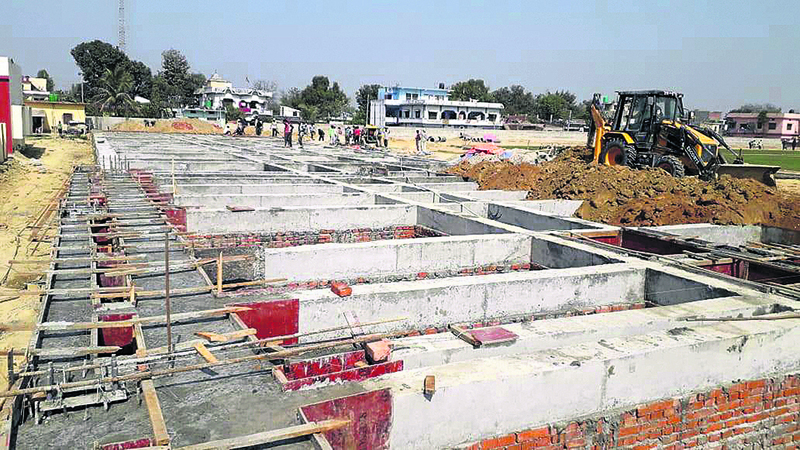 Meanwhile, the construction works at Nepalgunj stadium are yet to be completed. The event was postponed from November 2018 to January 2019, which was further postponed to March. Keshav Kumar Bista, the member-secretary of NSC, remained silent on the issue and assured that the council was working on the schedules. Mamta Thapa, former vice-captain of national women’s cricket team, stated that uncertainty regarding the event was causing her mental stress. “We featured in provincial matches. But we don’t know who is going to be selected and when is that going to happen. It takes time to arrange all the things. Participating in a national event is not an overnight thing,” said Thapa. A coach with NSC, on condition of anonymity, told Republica that the national games has become more a matter of personal gains and vested interests for the concerned officials rather than development of sports in the country. Senior board member of NSC and former president of Nepal Volleyball Association (NVA), Ganga Bahadur Thapa, expressed his concerns about health and mental stress of players preparing for the games due to continuous postponements.